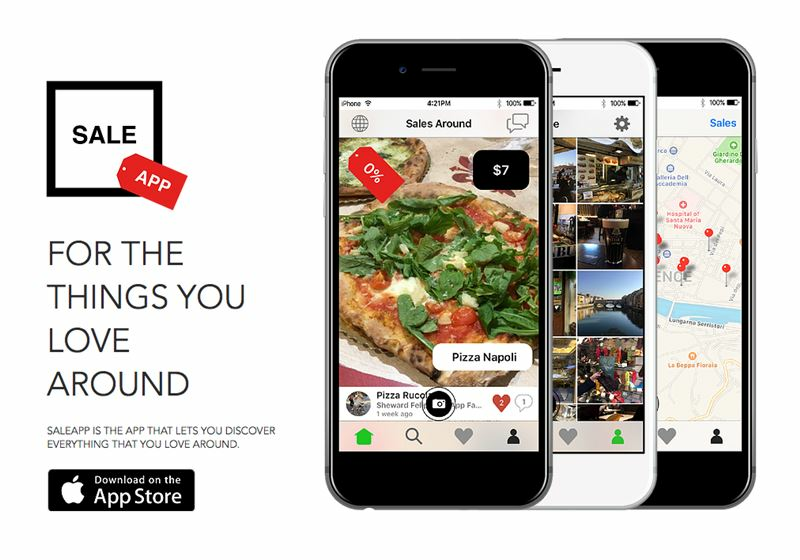 Sale app, helps to find new products near you, users can upload the things they like and love and owners can upload discounts of products and services to people in a radio of 26 km. 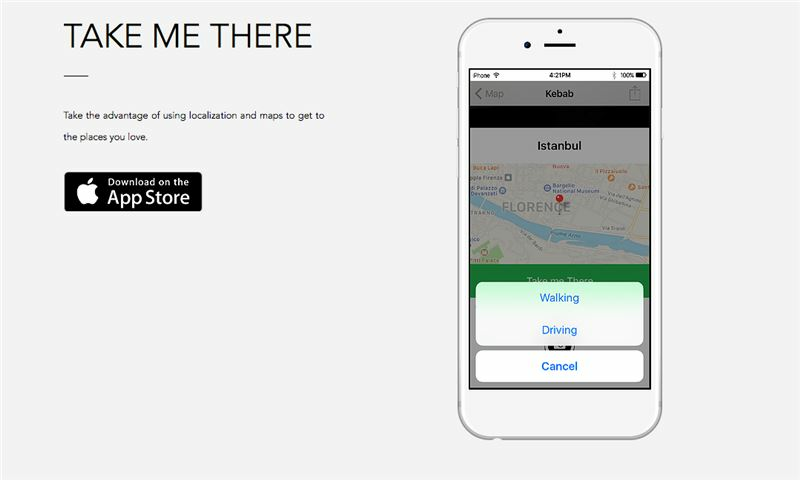 This app helps you to know new places, and to move around your area. It helps tourists and residents to discover small and big shop by offering real time discounts.  Saleapp refresh it self and shows post by time, therefore the posts are relevant to time of the day or weather. That means that is you are drinking a coffee in cold rainy day, you can create a discounts to people around you with a nice photo showing how nice would be to enjoy that coffee with them. 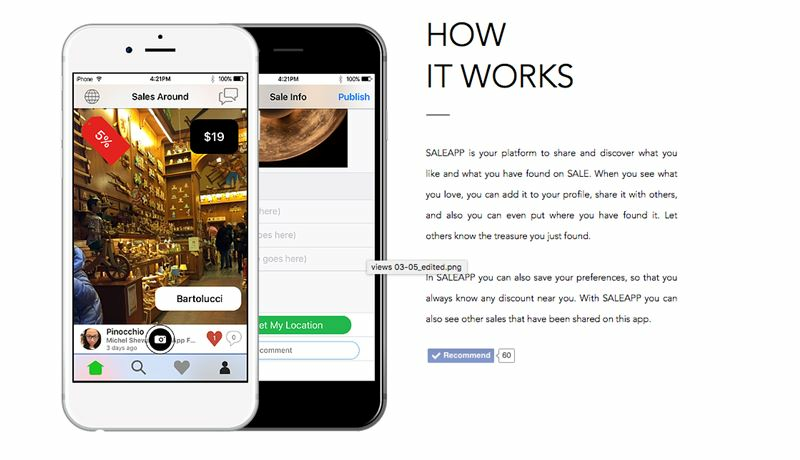 Saleapp has a Take me There function to guide you to your product. It also works as a social network, this means that you can leave comments, likes, follow and chat with others. Products are categorized and you can search by map or search. One of the things we realized is that when you use the map to search you can identify areas on the city with more posts, and therefore use them as a reference to visit them. 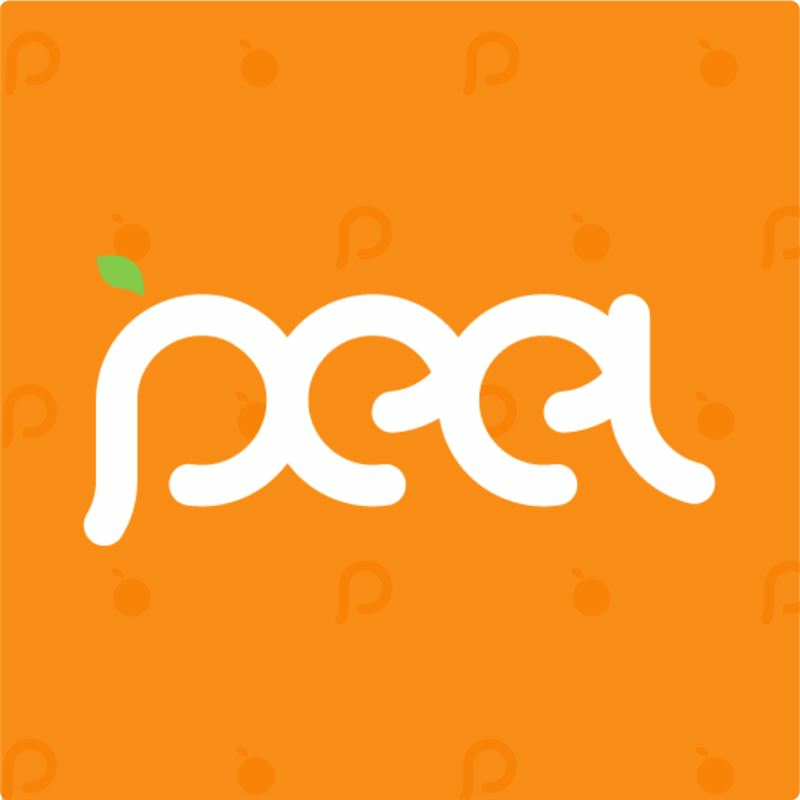 This app, helps to get to know your area, new cities, and to promote small business. 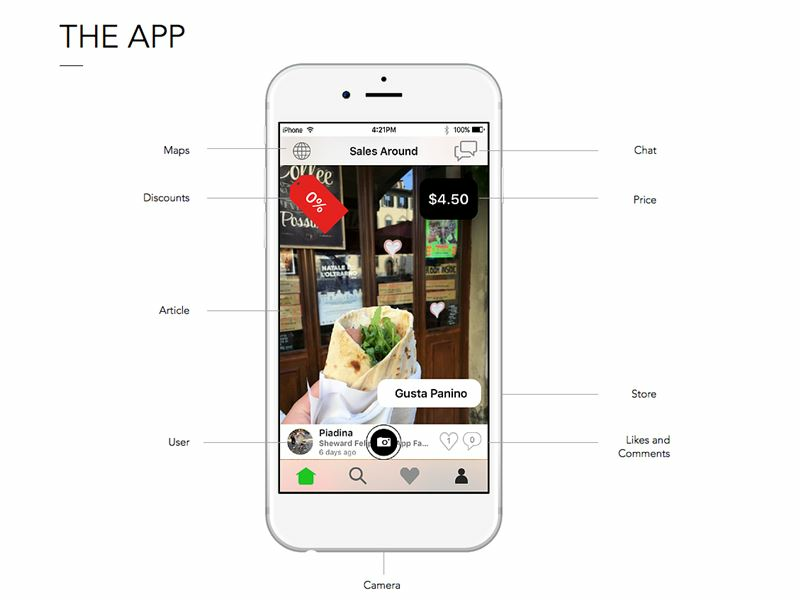 To know hot areas, and to promote real time discounts, it help to save to favorite places to get to know other users with share interests. 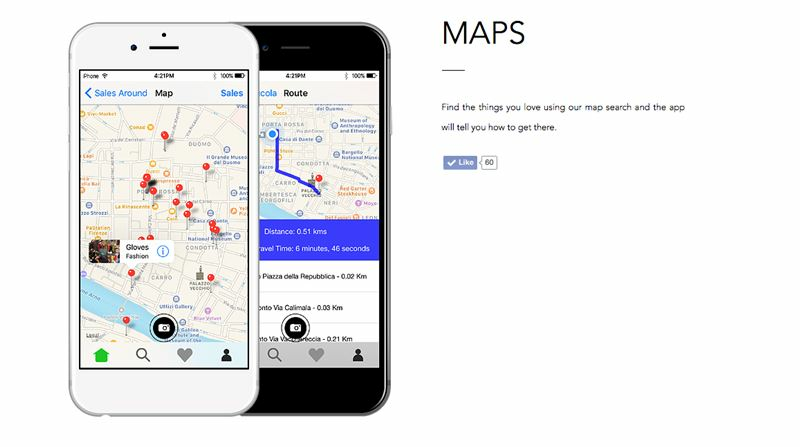 When you find a post that you like, you can ask the app, to let you know how to get there, the app finds the best route and shows you Turn by Turn how to get there, you can choose to either walk or drive to the location of that post. Each time, you upload a photo, the app uses location services to generate a pin on the map, so it only works if you make a post on the spot.